The statement comes amid the growing clamour in the Punjab government with several ministers demanding Sidhu’s removal from the state cabinet. New Delhi: Facing flak over his jibe at Chief Minister Captain Amarinder Singh, Punjab cabinet minister Navjot Singh Sidhu on Monday called the former a “fatherly figure”, adding that he loves and respects him and will sort out the issue himself. “You don’t want wash dirty linen in public. He (Capt Amarinder Singh) is a fatherly figure, I love him, I respect him, I will sort it out myself,” Sidhu told reporters in Rajasthan’s Jhalawar. 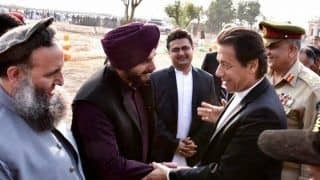 Two days back, Sidhu had mocked Amarinder Singh in Hyderabad when reporters asked him about going to Pakistan, to attend the groundbreaking ceremony for the Kartarpur corridor, despite his disapproval. “Rahul Gandhi is my captain. It is he who sent me to Pakistan. Rahul Gandhi is the captain of the captain (Amarinder Singh) also,” Sidhu had then said. On Sunday, more ministers Sunday condemned Sidhu over his jibe at Amarinder Singh demanding he apologise to the chief minister and “learn how to respect elders”, even as the former cricketer’s wife said his statement was being twisted and taken out of context. 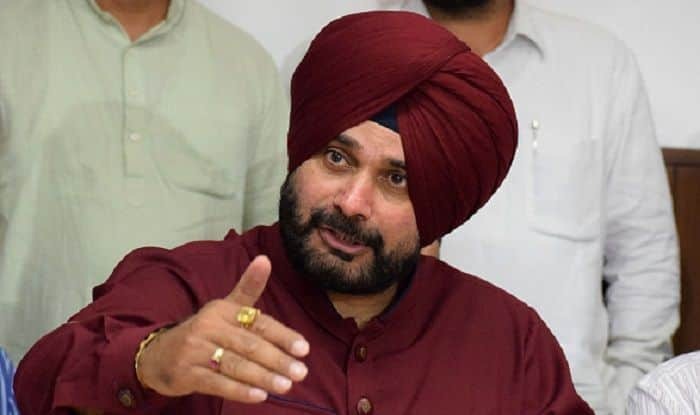 On Saturday, three ministers — Rural Development and Panchayat minister Tript Rajinder Singh Bajwa, Revenue and Rehabilitation minister Sukhbinder Singh Sarkaria and Sports Minister Rana Gurmeet Singh Sodhi — had called for Sidhu’s resignation from the state cabinet. On Sunday, state’s Women and Child Development and Transport Minister Aruna Chaudhary said Sidhu’s remark was “unforunate” and “uncalled for”. “What Navjot Singh Sidhu said about Capt Amarinder Singh is unfortunate. Such things should not have been said by him,” she said. Standing by his statement “BJP gave us three Modis, Nirav Modi, Lalit Modi and the one sitting in Ambani’s lap Narendra Modi”, Sidhu again hit out at the BJP government, calling it a “puppet in the hands of big industrialists”. “Modi government is a puppet in the hands of big industrialists. There is nothing for poor. It’s only for Ambani and Adani,” he said. Meanwhile, sources said the issue might come up during the state cabinet meeting on Monday. The meeting is scheduled to be held at Amarinder Singh’s official residence. It is reported that Sidhu might not attend the meeting. The row over the trip escalated in the state even as Sidhu backtracked on his claim that Congress president Rahul Gandhi was involved in his decision to attend the ceremony. “Get your facts right before you distort them, Rahul Gandhi Ji never asked me to go to Pakistan. The whole world knows I went to Pakistan on Prime Minister Imran Khan’s personal invite,” Sidhu had tweeted on Saturday. Sidhu’s wife and former BJP MLA Navjot Kaur Sidhu on Sunday said his heart is clean and his remarks was being twisted and taken out of context. “Navjot Sidhu’s heart is clean. He has not committed any mistake that he should resign. He has already said Capt sahib (Amarinder) is a father-figure to him. If outside Punjab, he said Rahul is the captain, what is wrong on that? He has not called (Narendra) Modi his captain. He is only calling Rahul his captain. And Capt Sahib’s (Amarinder’s) captain too is Rahul, isn’t it?,” asked Kaur. “Since Navjot and I joined the Congress, we always showed full respect towards Capt Sahib (Amarinder),” she said.